United Chemical Co., Ltd., the predecessor of Xintai, Shandong Tai'an City House Germany fertilizer plant, Germany was founded in 1966 and restructured in January 1999 established the Thai An Shuangfeng fertilizer Co., Ltd., overall leasing Floor Tak fertilizer plant plant, equipment, hiring floor fertilizerfactory workers in the production and management. In the second half of 2009, the Tai'an City House Tak fertilizer plant and the Thai An Shuangfeng fertilizer Co., Ltd. in accordance with the law declared bankrupt. February 2, 2010, Shandong Allied Chemical Corporation shall auction purchased all corporate assets, re-established the Shandong Xintai Joint Chemical Co., Ltd., a wholly owned subsidiary of Shandong Allied Chemical, corporate capacity of an annual output of synthetic ammonia, 100,000 tons, 100,000 tons of urea, 120,000 tons of ammonium bicarbonate, 15,000 tons of methanol, the annual sales income of 1.2 billion, and employs 600 people. The next three years, is planned to invest 6-8 billion on a new 100,000 tons of ammonia alcohol, 30,000 tons of melamine, 300,000 tons of alkali device is expected after the completion of the entire investment, the enterprise will become liquid ammonia, methanol, melamine, carbonated ammonium hydrogen, soda ash, ammonium chloride and other complementary integrated chemical enterprises, the annual output will reach 10 billion yuan, more than 150 million yuan in profits and taxes. Company based on technical innovation, focus on technological innovation and new product development, adhere to the road of sustainable development, resource development and conservation, to save the first place in order to improve the use of centered, vigorously develop the circular economy, improve the comprehensive utilization of company resources level, optimize the product structure, and enhance their competitiveness in the market. 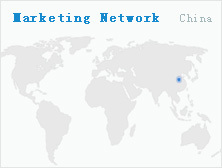 The company adhere to the principle of "Hing high quality, adhering to the head office" customer-oriented, science and technology leader, self-pressurized, striving for excellence "quality policy, and strive to excellent products and quality service to win customers, increase market share.